The award-winning Ross Tower, formerly Lincoln Plaza, is an excellent urban design example of how to integrate the city’s streetscape with interior and below grade pedestrian access. This granite, 45-story office tower is shaped with strong angular facades that enhance pedestrian areas off Akard and Harwood Streets. 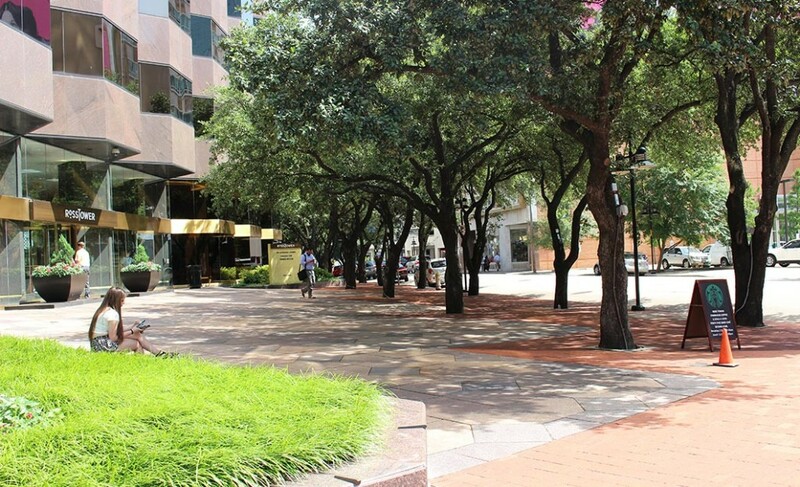 Special brick paving cover all perimeter walkways and adjacent intersections and provide Dallas’ first street-level connection to the Underground Dallas pedestrian system. San Jacinto Street ground rights were acquired from the City to build the popular Dakota Restaurant below street level and also provide an exterior sunken dining court. An elevator provides patrons direct valet service and direct access to the restaurant. The building entry features an Alexander Calder sculpture framed with mature double rows of live oaks. 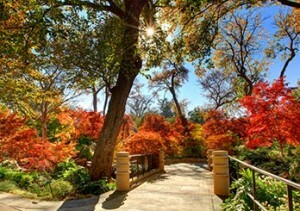 Abundant seating is provided under the shaded street tree canopies. 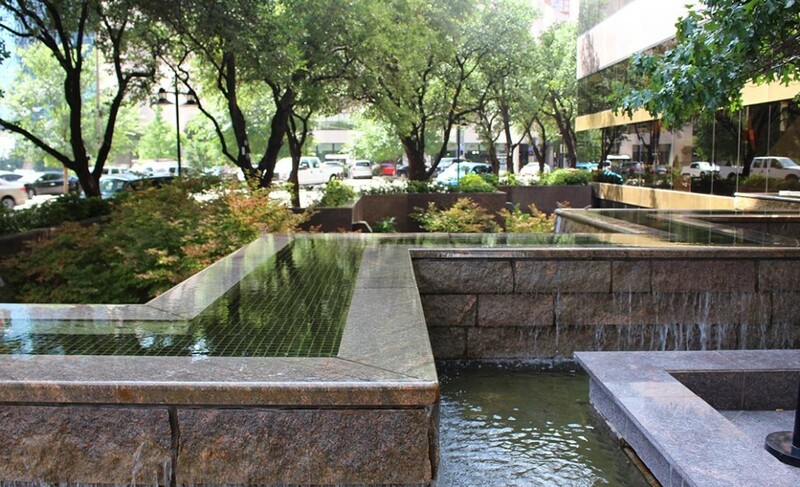 An octagonal granite paving pattern leads visitors to a custom-designed water feature located on the edge of pedestrian stairs that lead to the building’s lower level. Water cascades off all edges of the granite, over shingled wall surfaces, and following the steps down a corbel faced runnel. 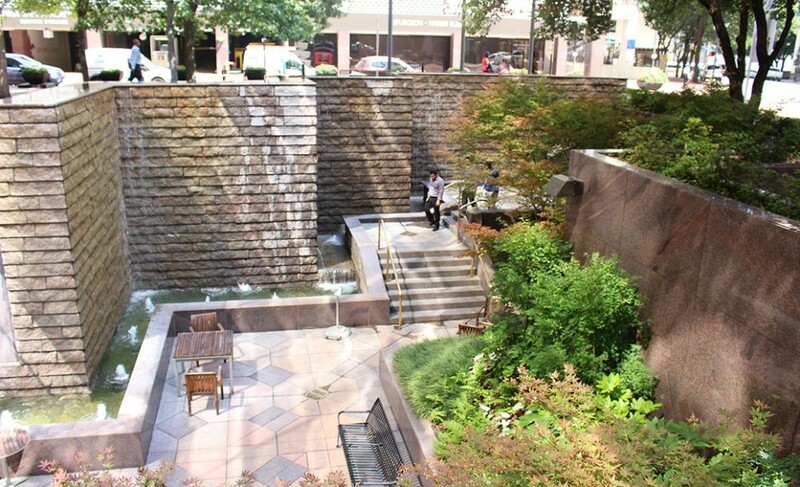 This delightfully cool water feature is a popular gathering spot for downtown workers, particularly during warm summer days.